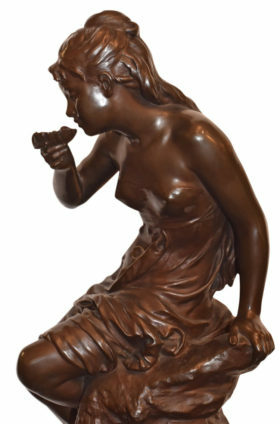 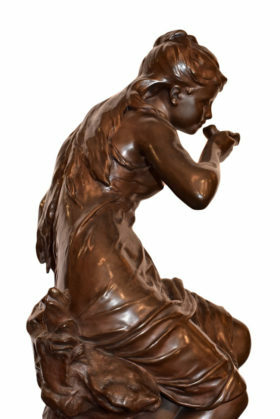 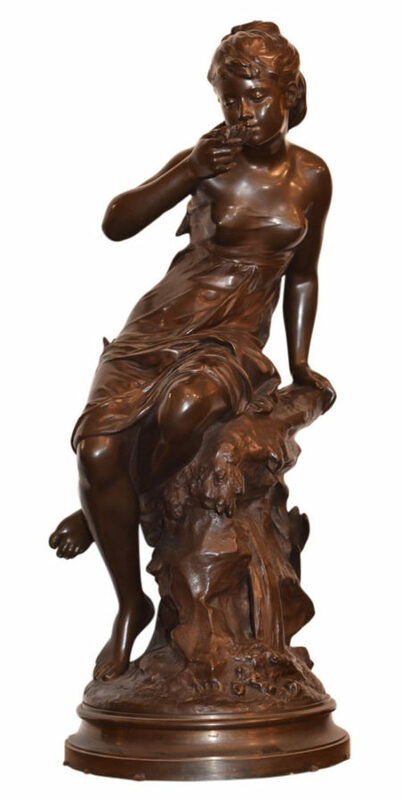 This elegant French bronze sculpture features a depiction of a young girl drinking from a shell. 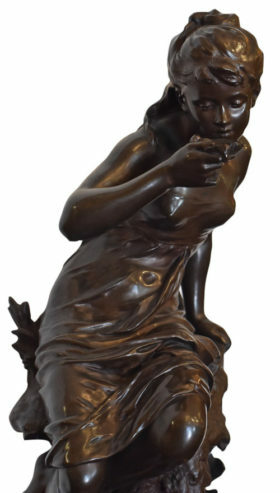 Signed Math Moreau. 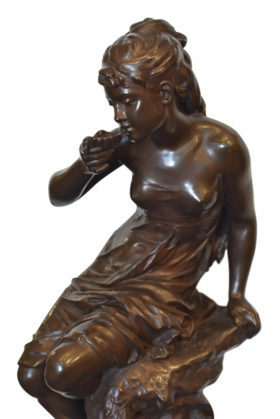 Mathurin Moreau 1822-1912.